It’s your stuff. Get access to your personal storage unit whenever you need it. 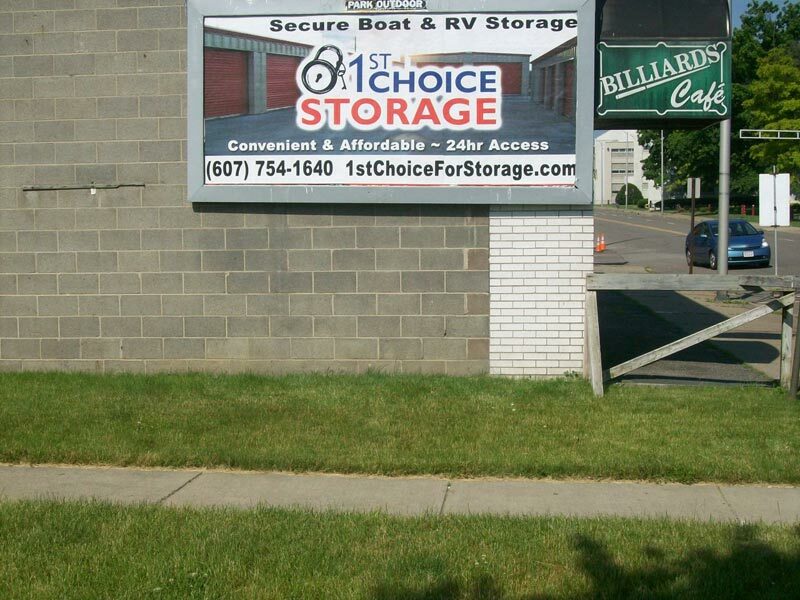 1st Choice personal storage in Endicott is amongst the best New York has to offer. We provide you with 24 hour a day access to your storage unit so that you can store and remove things from your vault when you need it. 1st Choice Storage is proud to give you a 24-hour on-call staff so that you always have someone to help you when you need it. Our personal storage business also offers top-of-the-line security through disk locks, daily property checks, and personal gate access codes in order to provide peace of mind to our clients. Call today for more information! We have indoor spaces ranging from 5×5 to 10×25 and outside spaces from 9×17 to 11×33. Perks of Making 1st Choice Storage Your First Choice: Here at 1st Choice Storage New York, we are a well-established moving and storage business in the community, staffed with a team of caring individuals who look forward to providing you the storage service that makes us the undisputed choice for self-storage solutions in the Southern Tier. At 1st Choice Storage, we pride ourselves in providing top-rated customer service and the most affordable self-storage solutions. We understand during these tough economic times that every cent matters, which is why at First Choice Storage Endicott you will find both competitive rates and great features, such as a fully fenced property with an automatic gate that provides unlimited access to your prized possessions, daily property checks, and online payments. We are here to provide you self-storage solutions for as long or as short of a time-frame as you need, so please feel free to call our office and let a member of our caring staff demonstrate our excellent customer service standards. Is your home or office space packed to the max? Are you tired of items you never use cluttering your space? A storage unit may be the perfect solution. Free up your space without having to sell your belongings or move into a larger space. When your space is overpacked, it can be easy for things to get unorganized. Getting a storage unit will give you the opportunity to go through your belongings and get reorganized — enhancing the functionality of your business or home. Often times, a storage unit facility is more secure than your home or business. At 1st Choice Storage Endicott, our facility features a gated perimeter, personalized gate access code, high-security disk locks, daily property checks, and more to ensure the safety and security of your stored items. At 1st Choice Storage Endicott, we proudly offer a variety of features and amenities for your convenience. 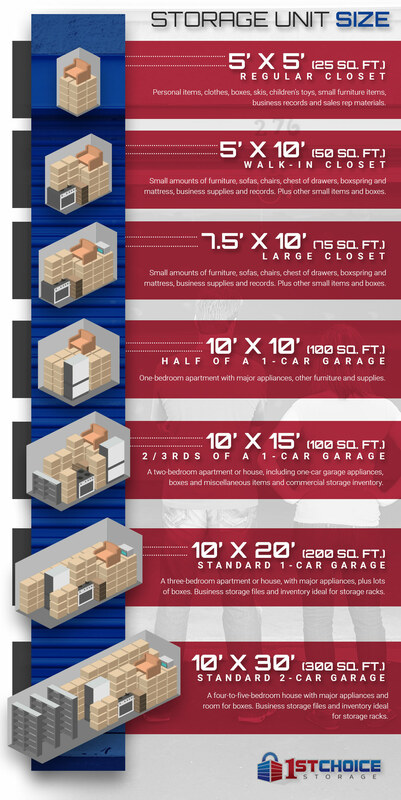 From indoor storage units to outdoor storage and recreational vehicle storage, we have the storage space for your needs. As well as providing Top Rated Local® storage solutions, we also offer moving and packing supplies, storage tips and updates, online payments, and much more for your satisfaction. Do you have questions about renting a storage unit near you? Check out our helpful guide, Storage Unit 101: Everything You Need To Know to discover different reasons to rent a storage unit, benefits of renting a storage unit, things to think about before renting a storage unit, how to determine what type and size of storage unit you need, helpful storage unit tips, and more.